This is a one-of-a-kind sculpture that was created especially for your garden. 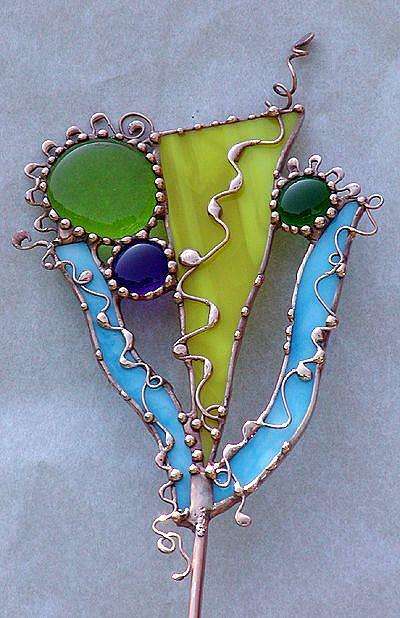 Each piece is created out of stained glass and jazzed up with decorative soldering and copper wire frills. 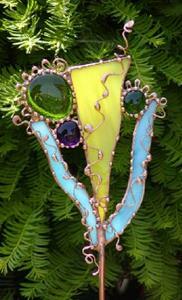 It is abstract in design but balanced with a visual appeal.